These Acrylic Calls are unique in such a manner that the patterns differ from each one truned. There may be a short delay in ordering as often times only two are kept in stock. They are an excellent call in the fact that they are very durable under extreme weather consitions. You wont have to worry about getting them wet like the wooden calls. These Calls are also shorter in length then the wooden calls. This Call comes with A Blue Band and a Blue Double Reed Insert..
Purple & Gold Acrylic (LSU) Duck Call comes with Gold Band and Clear Double Reed Insert. Brown Camo Acrylic Duck Call. 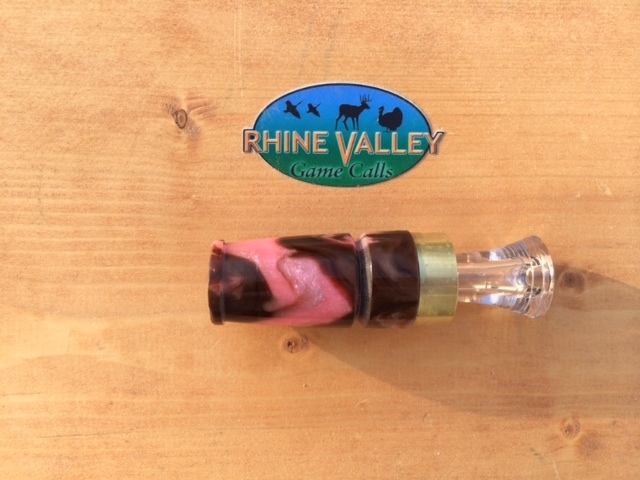 This Call comes with a Camo Band and a Double Reed Camo Insert. 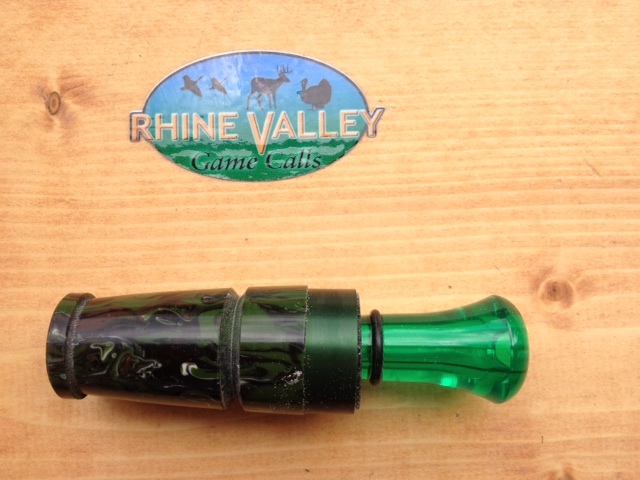 Green Camo Acrylic Duck Call. 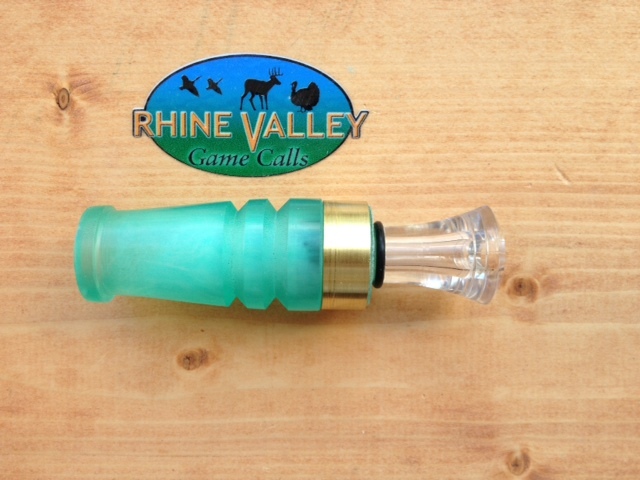 This Call comes with Dark Green Band and a Double Reed Green Insert. 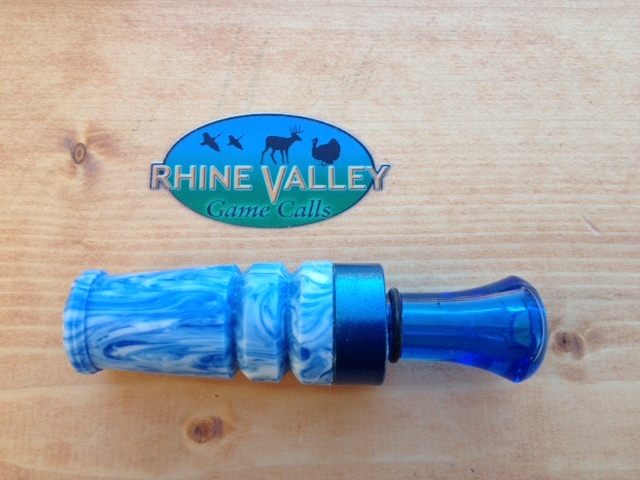 The "Blue Pastel" Acrylic Duck Call was made with the Female Hunter in mind, even though the Male Hunter may also use it. The design has swirls of Blue, Whit and Green in it. 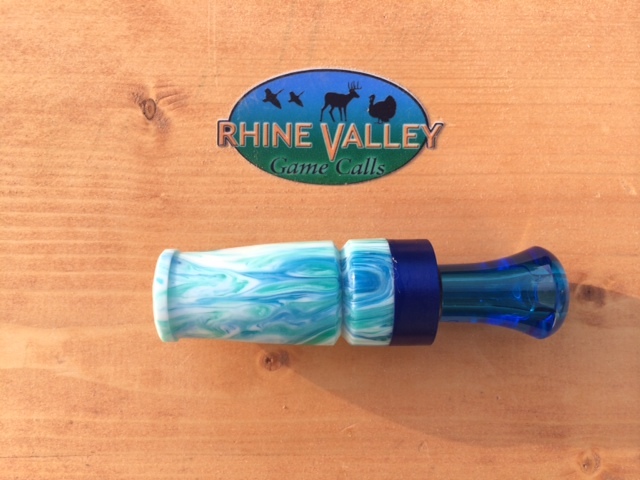 The Call comes with a Blue Band and a Blue Double Reed Insert. The "Camo. Lady Acrylic Duck Call was designed strictly with the Female Hunter in mind. A very cool looking Brown and Pink swirl design. 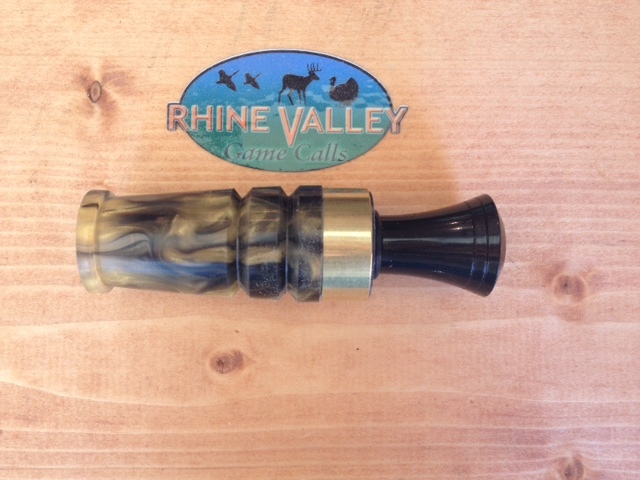 This Call comes witha Gold Band and a Clear Double Reed Insert. 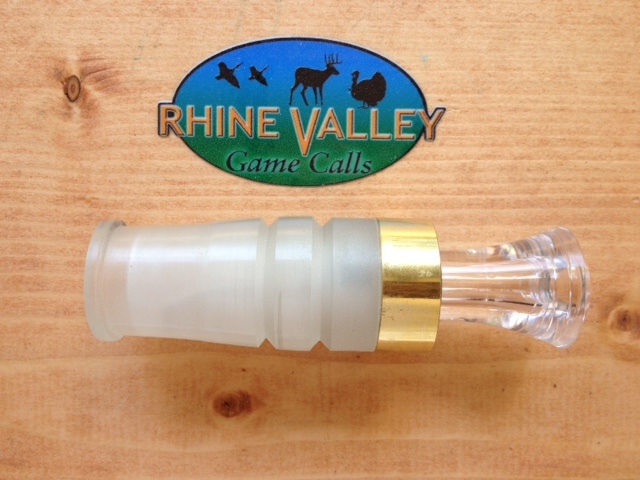 This White Acrylic Duck Call comes with a Clear Double Reed (Echo Brand) Insert with a Gold Band. Mallard Green Acrylic Duck Call. 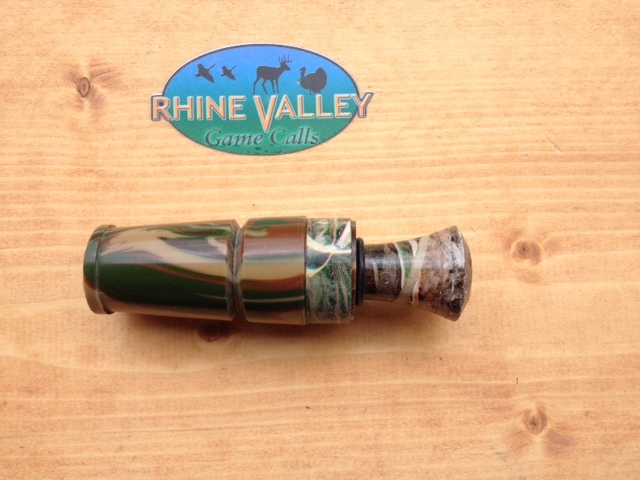 This Call comes with a Green Double Reed (Echo Brand) Insert with a Green Band. This "Zombie Apocalypse Acrylic is uniqiue with the Green, Pink and Black colors along with some silver flake. 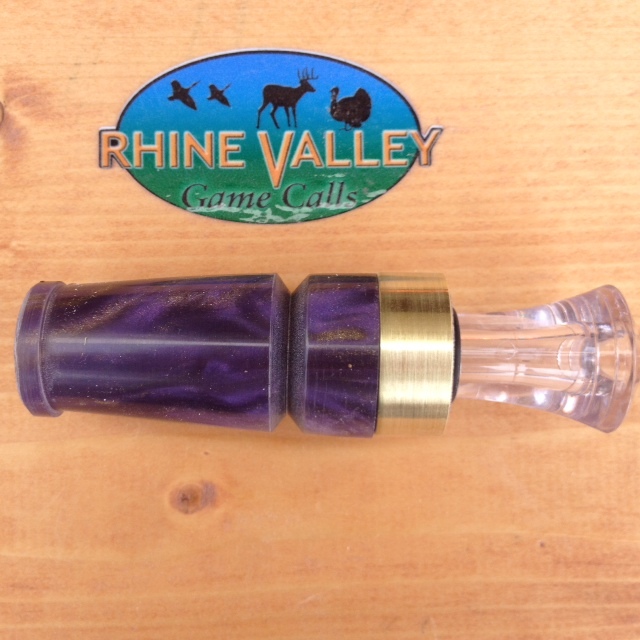 This Call comes with a Black Double Reed (Echo Brand) Insert with a Black Band.